In the Dance Team component, employees can express their love for dance and perform to fellow students at all-school meetings and events. Students of all levels are encouraged to apply. On a regular day, we all gather together, stretch, and learn choreography to a dance that we perform for our school and other venues. 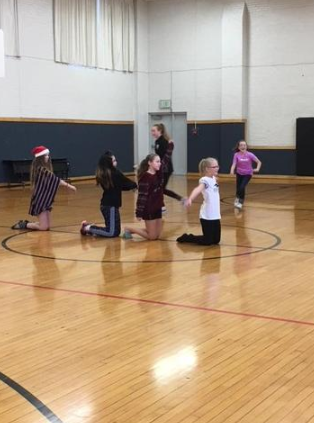 West Valley City School's Dance Team has been invited to perform at the West Valley High School Invitational, and has been instrumental in helping our employees make their high school Dance Teams. Again, the hard work and progress they make during City Escape goes towards public performances for our school, so we ask for enthusiastic participation!